A Proven Winner! and all-time post-surgical Best Seller. 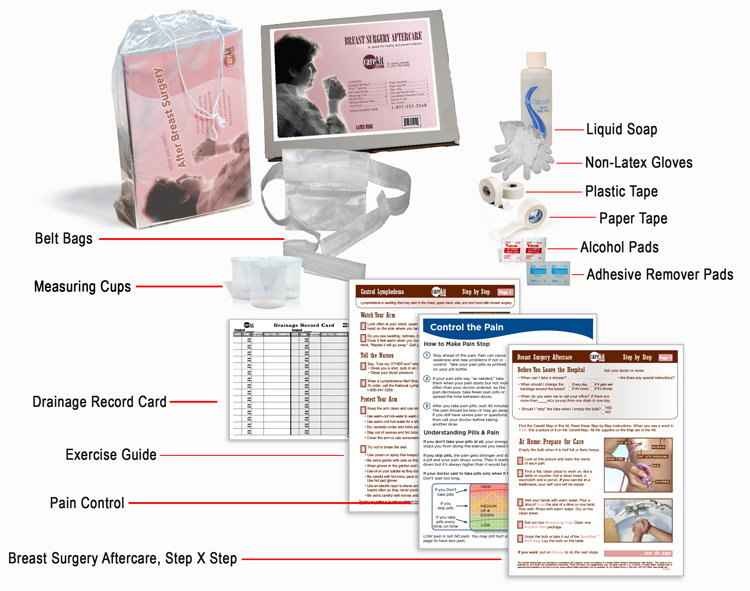 Used at leading hospitals from Kaiser to Johns Hopkins, this kit releives anxiety and speeds healing. It has all the necessary supplies, including proprietary belt bags designed by a survivor that carry drains and tubbing. Patients praise the kit for “giving me confidence I’ve done it right.” The Oklahoma State Board of Health reports complications post surgery have fallen over 85% since adopting the kit.